Romy Schneider makes an impressive starring debut in the delightful Austrian comedy Sissi. The titular heroine is a preteen 19th century lass of noble birth, who charms everyone she meets. Especially impressed is young Franz Joseph, emperor the Hapsburg Empire. When Sissi comes of age, the emperor pursues the girl romantically, with fascinating results. 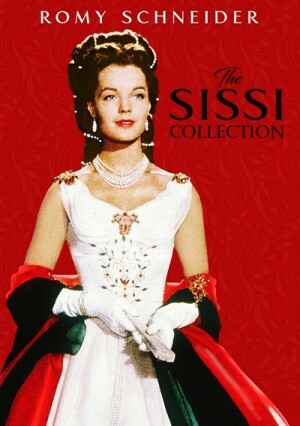 Filmed in 1955, Sissi was the first of a popular series of films showcasing Romy Schneider as the young Empress Elizabeth. The second in a trilogy of movies about Elisabeth 'Sissi' of Austria, the film chronicles the married life of the young empress as she tries to adjust to formal and strict life in the palace and an overbearing mother-in-law. In Vienna, young Austrian Empress Sissi (Romy Schneider) is fatigued from the pressures of having to hold court. Though happily married to Emperor Franz Joseph, Sissi must endure the familial machinations of Franz's mother, Archduchess Sophie. 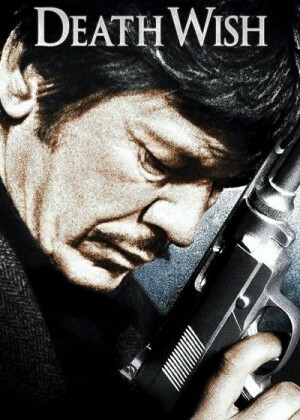 Sir Laurence Olivier plays "Maxim" de Winter, a recently widowed wealthy older man described as having been madly in love with his wife before her tragic boating accident. Joan Fontaine plays a young paid lady companion who far too quickly becomes The Second Mrs. de Winter. The two of them first meet in Monte Carlo, have a whirlwind romance for a couple of days, and are then forced into deciding whether or not to marry because of an unexpected, hasty departure of Fontaine's employer. After a quick Justice of the Peace marriage and a brief romantic honeymoon, the two of them arrive at famous Manderley (Maxim's family estate) and the second Mrs. de Winter is confronted by the memory of the first Mrs. de Winter, Rebecca. On every level she compares herself to her husband's most beautiful and poised first wife. 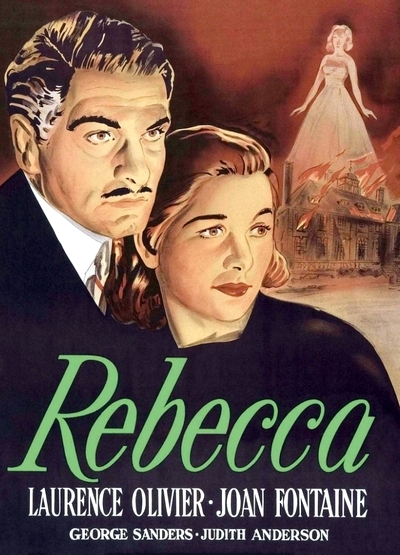 Judith Anderson plays Mrs. Danvers, the housekeeper who took care of Rebecca and later Maxim after her death. George Sanders plays Jack Favell, who was Rebecca's favorite cousin. As these characters interact, the truth about the past unfolds in a suspenseful and chilling manner. 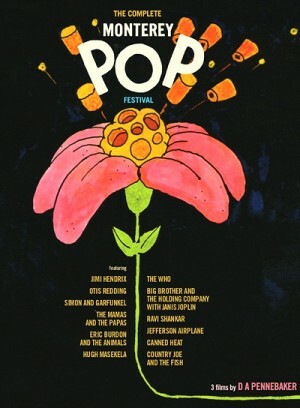 Just as the Monterey International Pop Music Festival marked a pivotal and definitive turning point (in this case, upward) in the cultural ferment of the 1960s, so too the film document of that event, D.A. Pennebaker’s Monterey Pop, initiated a new way of capturing music and its performance for posterity. The weekend-long Festival, featuring mostly West Coast hippie rock and folk combos, with a few international surprises tossed into the mix, was like a meteor that streaked across the sky of an emerging new civilization, illuminating the landscape, brightening the eyes of its witnesses, summoning a potent mix of emotions: joy, euphoria, ecstasy, bewilderment, even dread. 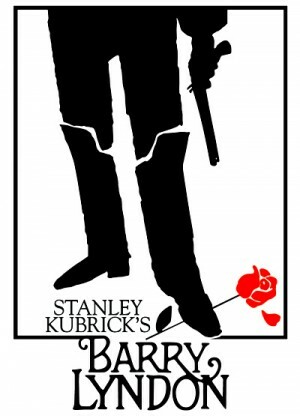 Criterion's "The Complete Monterey Pop Festival" contains director D.A. Pennebaker's legendary Monterey Pop as well as his Jimi Plays Monterey and Shake! Otis at Monterey. The three films capture a number of musicians as they perform at the Monterey International Pop Festival in 1967 in front of an enthusiastic crowd. After the festival, some of them would go on to become superstars; others would give up music. Crammed inside their school library, 5 different students all of different social status, intelligence and build must spend their Saturday serving detention. 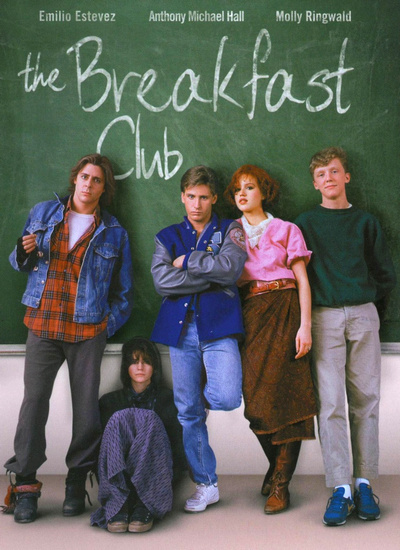 We have the Jock (Emilio Estevez), the Brian (Anthony Michael Hall), the Criminal (Judd Nelson), the Princess (Molly Ringwald) and the Kook (Ally Sheedy), most of who have never spoken a word or even glanced at one another. Even though these 5 different students never got along with each other before this day, by the end of the film they all develop a bond none of them figured they ever would. Each open themselves up revealing sides about themselves never heard before. Slowly the story behind each one comes out and they find that they have more in common then they ever could have imagined. Daniel (Dave Johns) is a 59-year-old woodworker who’s recently experienced a heart attack. Medical issues have ended his working years, relying on government assistance to pay the bills. When Daniel is hit with the news that he’s expected to return to employment right away, he’s baffled, trying to remain with his doctor’s orders to ease back into a routine. 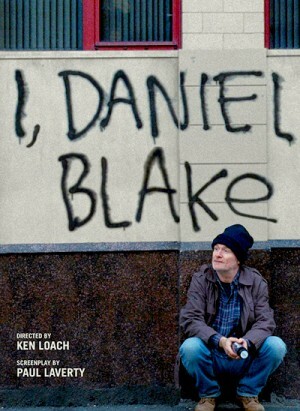 However, medical information isn’t connecting with benefit sources, sending Daniel, who isn’t computer literate, on an endless quest to fix the situation, entering the labyrinth of social services, where every option to continue living is trapped behind bewildering paperwork and professional demands. During this painful journey, Daniel meets Katie (Hayley Squires), a single mother of two who doesn’t have any money to support her family. She responds to Daniel’s kindness as he helps with home projects, but her own shame is silently destroying her, forced to accept the unthinkable just to afford to buy food for her kids. In the Lorraine region on the French-German border, a gas explosion and series of tunnel collapses threatens the lives of French miners. A German rescue team, headed by Wittkopp, convinces the German mine director to allow them to conduct a rescue operation. In the meantime, a French miner descends an old stairway into the shaft in order to rescue his grandson on his own. The rescue mission ultimately becomes the expression of a common humanity that extends beyond national boundaries. 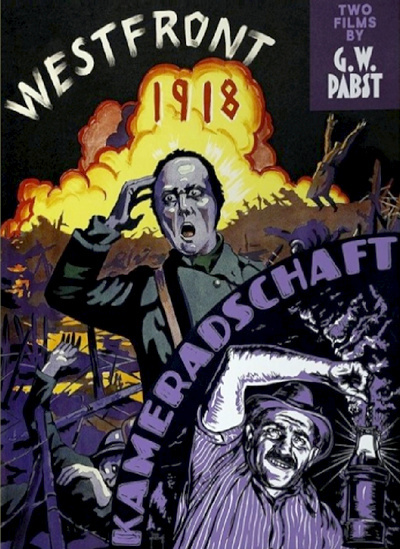 G. W. Pabst's Kameradschaft (1931) is based on an actual event: the 1906 Courrieres mining disaster in northern France, among the worst industrial accidents in history. 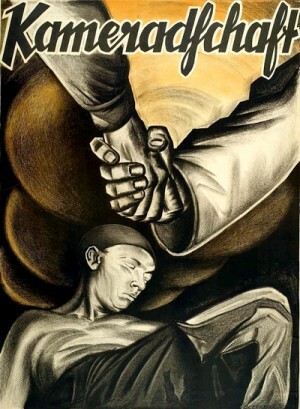 A coal dust explosion resulted in 1,060 deaths and German miners from the Westphalia region came to France to assist in the rescue effort. Pabst and his scriptwriters relocated the event to the present day (that is, in the aftermath of World War I) and to the French-German border, transforming the story into a message of pacifism and solidarity among workers. 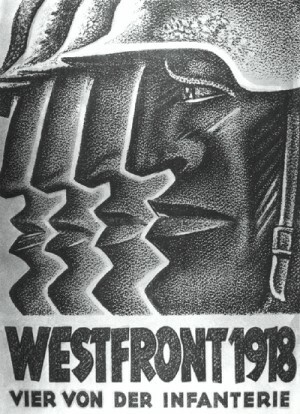 In that respect, the film may be seen as a follow-up to Pabst's previous film, the anti-war picture Westfront 1918 (1930), which shares largely the same production team and even some of the cast members.